For those of you who’ve been, you’ll know what we’re talking about, for those of you who haven’t then do yourself a favour and go and see it for yourself! 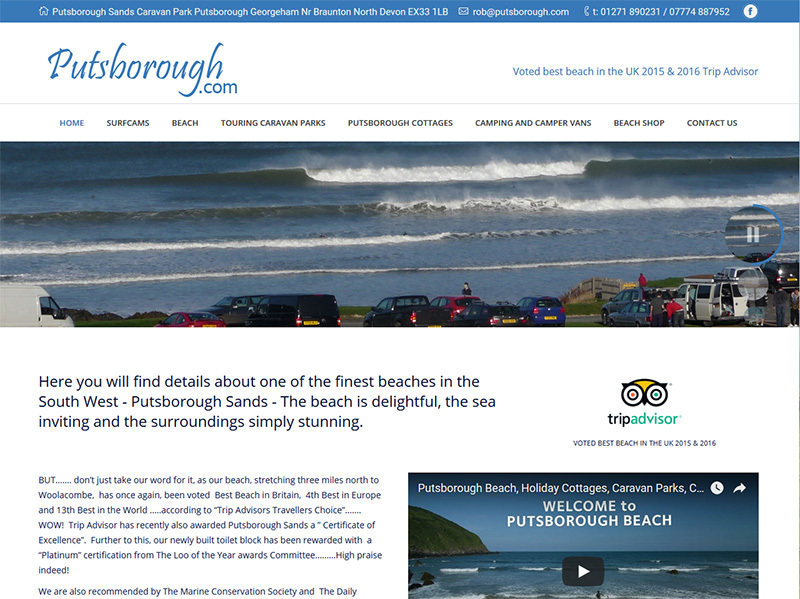 Putsborough Beach is the jewel in the crown of North Devon beaches – steeped by surrounding cliffs and sharp banks, you’ll be transported to a magical place as you set yourself up on the beach. Fabulous spot for surfing and other activities with Woolacombe at the far end of the beach. On top of this there is camping and caravan facilities and nearby cottages to rent. Well worth a visit! Oh, and we’ve re-designed the website to make it mobile and more user friendly!